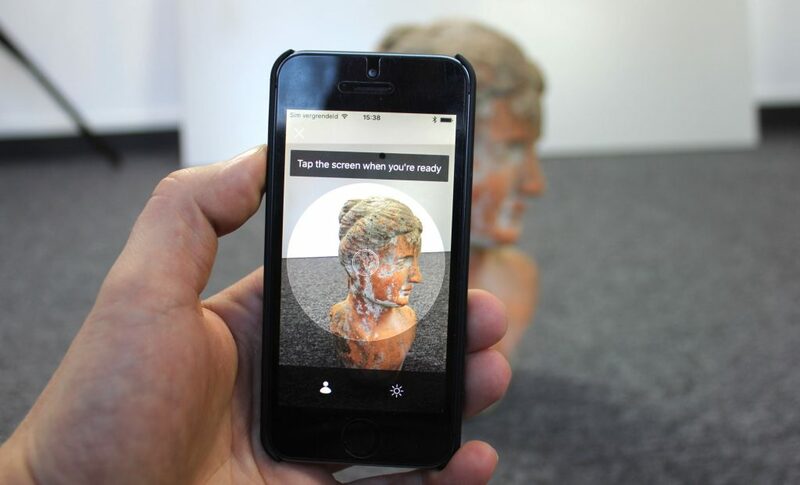 Dedicated 3D scanning hardware is getting more mobile as we speak. While Structure Sensor (Review), iSense (Review) and RealSense R200 (Review) and SR300 (Review) are still more tablet devices, recent and upcoming solutions like Google Tango, Bevel (Review) and Scandy Pro are meant to be embedded or clipped onto smartphones. But while depth sensors are indeed getting small enough to be pocketable soon, pure-software photogrammetry solutions that can generate 3D objects from regular 2D photos are getting smarter and faster, too. So the question is if consumers actually need dedicated 3D capturing hardware for their phones if just software can do the trick? 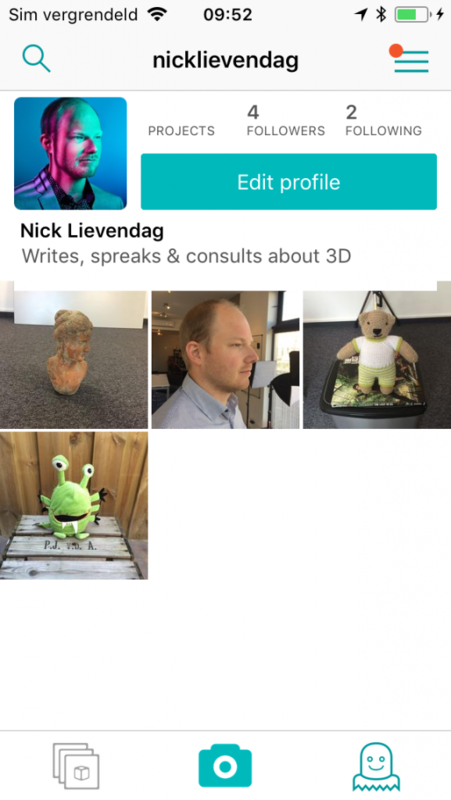 Autodesk used to offer the popular and free 123D Catch for both Android and iOS that combined a good interface with a powerful cloud-processing feature but this app is has been discontinued. 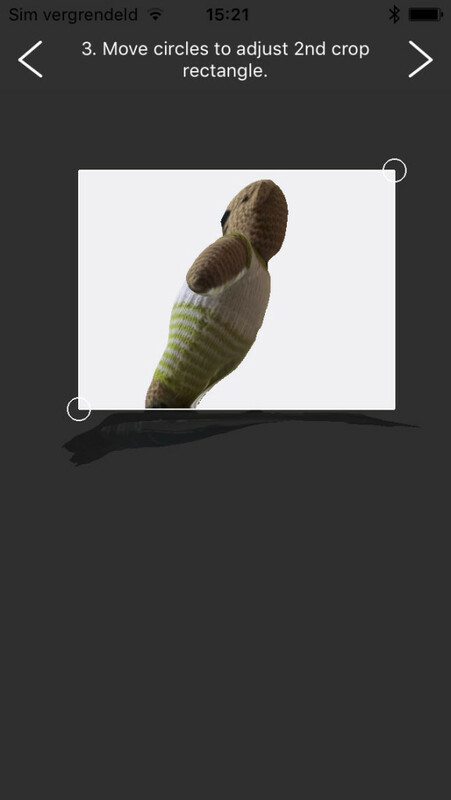 Currently, if you’re an Android user you can take a look at SCANN3D (Review). But if you have an iPhone there’s also a nice app called TRNIO which used to be free when I first tested it but is now available for $0.99 in the App Store. Still pretty close to free, so let’s test it again. This time with some more examples. 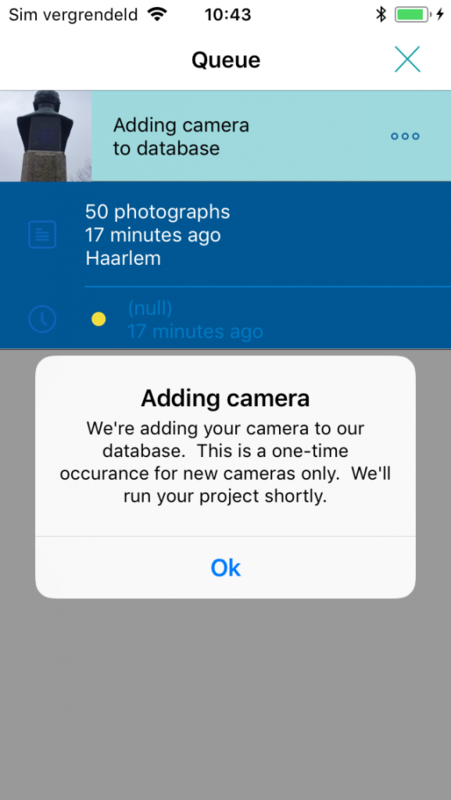 Instead of taking separate pictures like like SCANN3D, TRNIO will initiate a burst mode that automatically takes a maximum of 70 photos while your path around the object is being tracked. This greatly speeds up the capturing process. Okay this is not an app but it is my personal new method of choice for capturing 3D on the go. Simply shoot video — preferably in 4K — and process it when you come back home on a Windows PC running the new, FREE version of 3DF Zephyr. Capture is fast and doesn’t require any special hardware or app. And the results are surprisingly good! But I couldn’t get that to work as the uploader never got past the “preparing” state. Secondly, you can also load (max 80) photos from the iPhone’s Camera Roll. But when I copied photo sets to the device through iTunes they didn’t show up in Trnio. You can’t choose other albums or image sources from the app. The only way I could get it to work was manually downloading the photos from Dropbox one by one. So apparently my Sony RX100M2 camera was not yet known to Trnio’s algorithms which means it has to be added to their database. I’m guessing this is a manual procedure on their side so I’m waiting for that to happen. I will update this post if/when the project is through. After capturing or importing, down-scaled versions of your photos are uploaded to the cloud and processed. While this happens you’re looking at a status indicator but this isn’t very reliable. Sometimes it can be stuck in the same position for hours so you never really know what’s happening. When the result is downloaded, you’ll get a notification and can view the Preview. The app features an cropping feature that allows you to select which parts you want to keep by making a selection from the top and side view of the model. That doesn’t give you total cropping freedom, but works pretty fast. Unfortunately, the model has to be re-processed in the cloud to be cropped. Also, in my recent tests cropping didn’t happen all and I just got the same result back. If you like the model you can also choose to upload the full resolution photos for better textures. The model has to be reprocessed — again — for this but the result is worth it. The Trnio app itself is also a kind of social network. You can make a profile similar to Instagram, follow others, like their scans and comment on them. 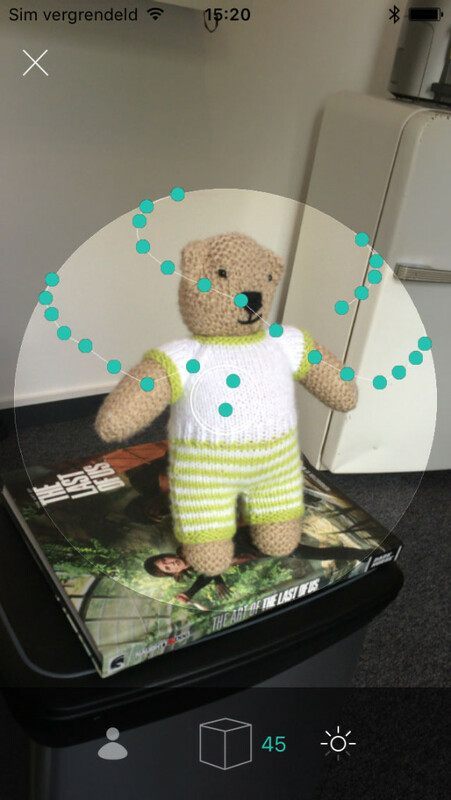 Since everything on Trnio is in the cloud it’s easy to share 3D scans directly from the app. It will generate a short URL which you can share as an iMessage. Native buttons for social networks are absent but you can simply paste the URL elsewhere to share it. It leads to a nice 3D viewer that works on dekstop and mobile. Click here to check it out. If you want to reach a larger audience and have more sharing features, you can also export your model online 3D showcasing website Sketchfab. This procedure does require you to visit Sketchfab in your browser and copy & paste the API token to Trnio, but only the first time. Many applications now feature a login window to authenticate Sketchfab which is a nicer user experience in my opinion. I also missed an option to upload scans as private models. You can also send a temporary download link of the model to yourself through email. The model will arrive in PLY format with an external JPG texture. I personally think OBJ would have been a bit more compatible but many programs can convert PLY. This is a direct, uncropped, export from Trnio in High Resolution Mode. This makes the textures really sharp: just look at the texture on the book cover! If you set the rendering of this embed to MatCap (press 3 on your keyboard), you can see that some of the knitting is visible, but mainly the larger parts like around the waist. The knitted look comes mainly from the texture. Even though I’m dwelling on the past here, I can’t resist to add the result from the discontinued Autodesk 123D Catch app of the very same objects shot at the same moment. It does make for a good comparison because both apps use(d) cloud computing. If you view that model in MatCap mode you’ll notice that there’s a lot more detail in the geometry. I’m not sure if that’s because Autodesk’s photogrammetry algorithm is so much better or if 123D Catch uploaded the photos in higher resolution than Trnio does. That said the result from Trnio is a lot lighter with a polycount of 80k vs 320k on the 123D Catch result, which make it more directly suitable for real time 3D applications like VR and AR. Another example in the form of my all-famous bust. Trnio somehow didn’t crop away the floor even though I tried it multiple times but it isn’t too distracting in this case as the auto-cropping already removed orphan and unrelated geometry, unlike SCANN3D that doesn’t feature auto-cropping. If you look at the Trnio result and the best SCANN3D (the one on the right) result in MatCap mode you’ll see that they are similar in geometric detail. But if you turn on the texture SCANN3D clear winner. Trnio’s texture has a lot of JPEG artefacts and is overall less sharp. It must be noted though that I used an iPhone 5S for the Trnio test and tested SCANN3D on a brand new Pixel 2 which has a better camera. The result is fun but the algorithms clearly had issues with the spaces between the arms of this monster. In my experiences those kind of errors come down to photo resolutions and how many pixels in the photos are actually used for photogrammetry. I don’t know what kind of processing power Trnio’s servers offer but I can make an educated guess that they don’t have the resources that Autodesk made available for 123D Catch. 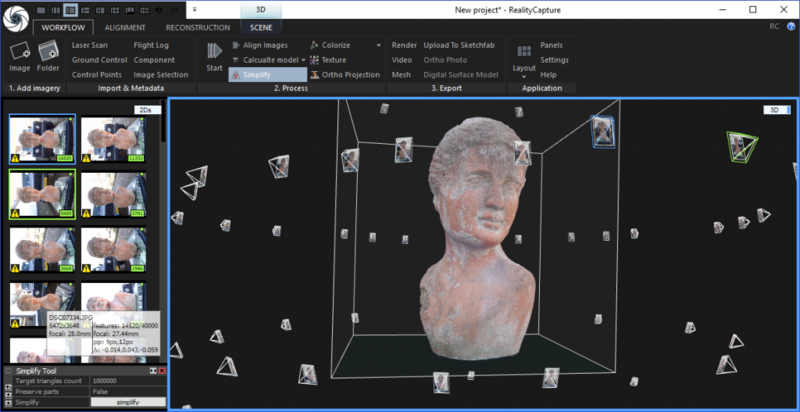 But latter decided to make that engine unavailable for fun and low-budget purposed when they recently moved all photogrammetry into the premium, paid ReCap Photo (Review) product. It has been almost 1,5 years since I last tested Trnio and not a lot has changed. Sure there are some small updates but in many ways the app feels a bit beta and not as polished as the photo and social network apps we use everyday. 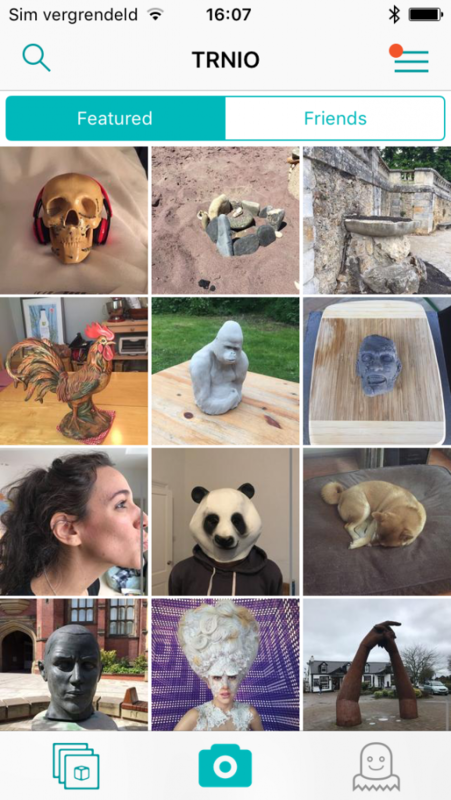 That said, Trnio is currently the most complete and polished mobile photogrammetry app on the market. The capturing process is still unique and a clever way to make photogrammetry capture fast and easy. 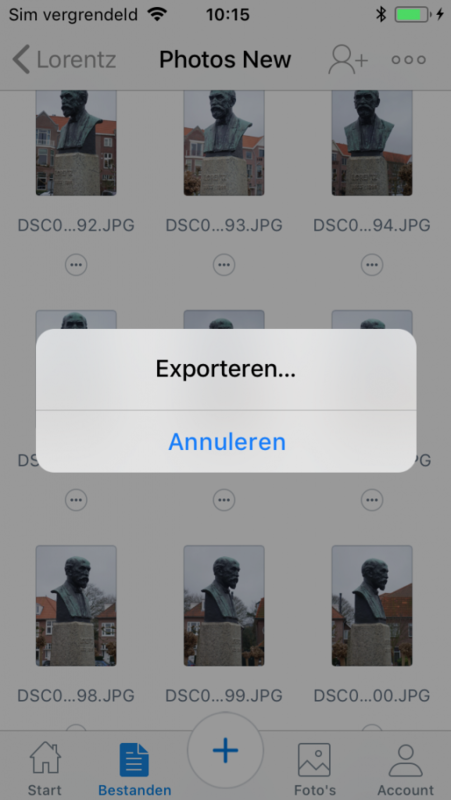 Both cropping and sharing can all be done from the Trnio app directly, but the former requires re-processing and up/downloading of the model. This waiting time counters the intuitive and super-fast automatic photo capturing. And then it has to be processed again after cropping if you want the highest quality. 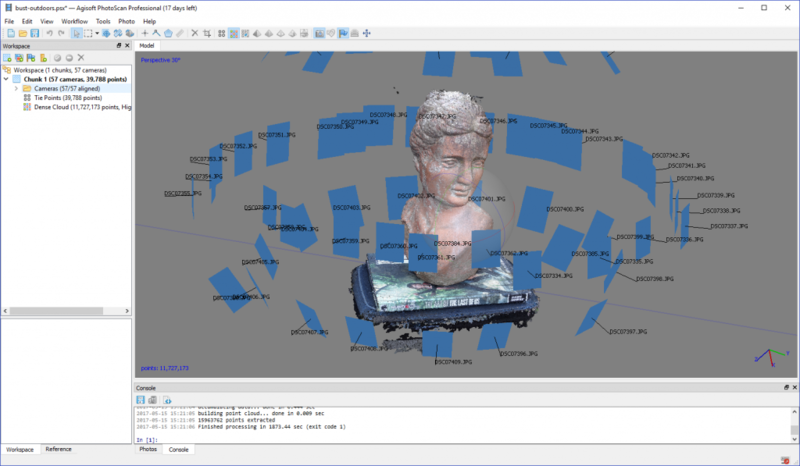 Trnio is currently the most complete and polished mobile photogrammetry app on the market. This is certainly true now that we’re living in a world where a lot of advanced stuff (VR, AR) on smartphones is happening in real time. 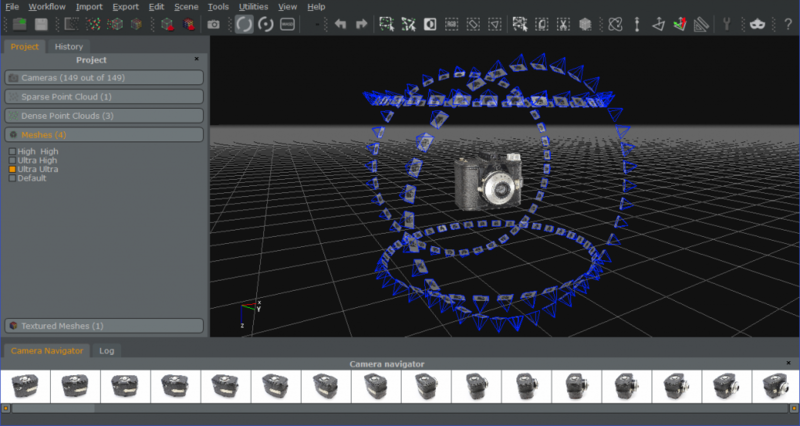 Even 3D capture is getting a lot faster with solutions like Sony’s 3D Creator. But that app is exclusive for Sony’s flagship Android handset and there isn’t any equivalent for iOS — yet. This is only a matter of time now that developers are starting to use Apple’s ARkit for spatial mapping. Trnio has social features, but they’re in-app only. You can share your scans on other networks by copy & pasting the shorty URL from the iMessage sharing feature but that’s not very intuitive. It does export to Sketchfab directly which is a better way of sharing with a larger community or on social networks. Especially since Sketchfab natively embed in Twitter and Facebook timelines. Trnio is currently iPhone-only. There used to be plans for an Android version but I’m not sure how active that’s being developed since the developer is focussing on their animatable 3D avatar solution instead of the 3D scanning app, which is apparently where the money is right now for 3D capture since other developers are also making software for this purpose. I naturally hope that the developers behind Trnio will put some more time into the app this year and maybe even that long-awaited Android version. The app has a lot of potential that could benefit from some more polishing and a bump in cloud processing capacity. Is there any software available that would create a 3D image using multiple cameras at different angles to object on a turntable? Thanks. I think you’ll find this post interesting. I’ll update it soon because some things aren’t correct anymore (like Autodesk ReCap 360 & ReMake being discontinued). But that technique also works 2 or 3 DSLRs. As long as they are in range of the infrared light on the Foldio 360 Turntable. Is there any way to extract images taken while scanning? Interesting question but as far as I know that’s not possible. i cannot find this app on the apple store. Have they stopped it, or is it filtered out because I am searching from an ipad. I cannot find out how to activate the scene mode in TRNIO. Has that option been disabled? If you’ve ever been included in a group text messaging thread that you had no intention on being a part of, you know how annoying it can be to have your iPhone (or iPad) chime repeatedly as new messages come into the conversation you aren’t following.